Birchbox is to beauty as Thimble is to DIY electronics. Build a new device every month! The Maker Movement has taken off and diversified the past few years, igniting creativity and innovation in a community of people. For those new to it and interested in getting involved, it can be a bit daunting at first. There’s so much you can build, hack and tinker with, so where do you even start? 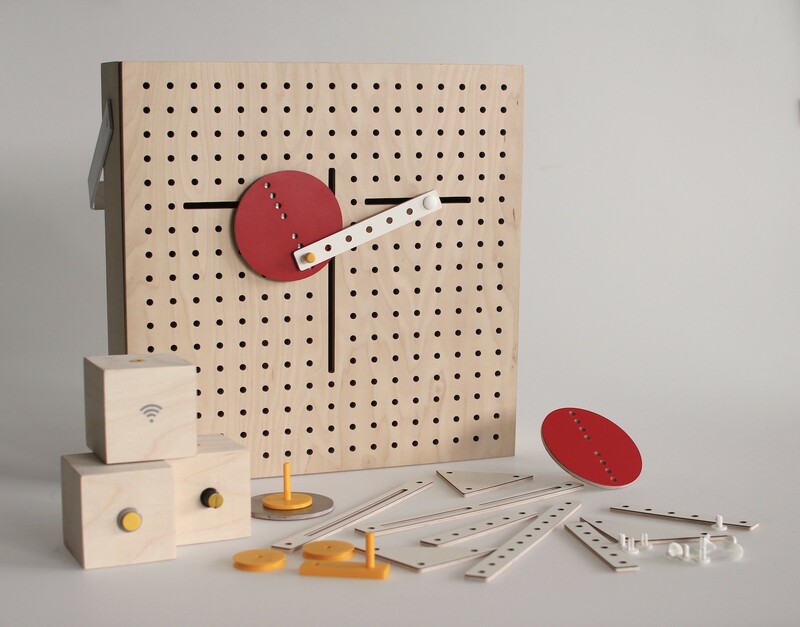 Makers David Brenner and Oscar Pedroso saw this need, and created a solution to help guide and engage future makers without them feeling intimidated. After meeting on Hacker News in December 2014, David and Oscar wanted to share their passion for the DIY crowd by finding a way to engage kids and adults in electronics. A year later, Thimble was conceived. Thimble is a DIY kit accompanied by a learning app, which allows you to build a new electronic device each month. The team has developed a series of monthly kits that teaches users the fundamentals of electronics and how hardware and software come together, so they can innovate and invent from the comfort of their own home. The first kit is a Wi-Fi-enabled robot, controlled by phone, tablet or laptop. The robot arrives with all the components needed to build the project and step-by-step tutorials on the learning app to guide you through the construction process. Additionally, the app provides a community of other Makers to share knowledge and best practices. By the time you finish making your Wi-Fi bot, you will have learned how to create an Android/iOS app that can move things, understand how electricity, motors and microcontrollers work, and have enough knowledge to try out your own ideas to improve the robot. You can achieve this regardless of your age or background knowledge. At the heart of the robot is an Arduino. You can program its firmware to talk to the Wi-Fi module that comes with the kit. With it, the robot can receive commands over your wireless network and control the motors. Additional parts included in the kit are a printed circuit board, breadboard, wheels, battery holder, cable, terminal blocks, jumpers and more. Looking ahead, other projects you could receive range from drones, to alarm clocks, to LED cubes, to light control devices for your home. If monthly shipments are too frequent, or you just want to try the first kit out, Thimble can deliver kits whenever you’d like them instead. Ready to jumpstart your future as a Maker? Head over to the Thimble Kickstarter page, where David, Oscar and the team are seeking $25,000. You can expect to start building and tinkering when the first batch of units goes out for delivery on April 2016. This entry was posted in Arduino, Maker Movement and tagged Arduino Robot, DIY, DIY Electronics Kit, DIY Kit, Kickstarter, Maker Movement, Makers, Thimble, Wi-Fi Robot on December 9, 2015 by The Atmel Team. LINKKI lets you design movements whether it be for kinetic prototyping or storytelling. The brainchild of Eun Young Park as a part of her at Master’s thesis at Aalto University School of Arts, Design and Architecture, LINKKI is a DIY toy kit based on a planar linkage mechanism that enables Makers and designers to prototype their own simple movements, create kinetic storyboards, as well as learn basic STEM principles through hands-on tinkering. The idea for the DIY kit first came about after having been inspired to extend storytelling media beyond two-dimensional space and into the physical world with interactive components. 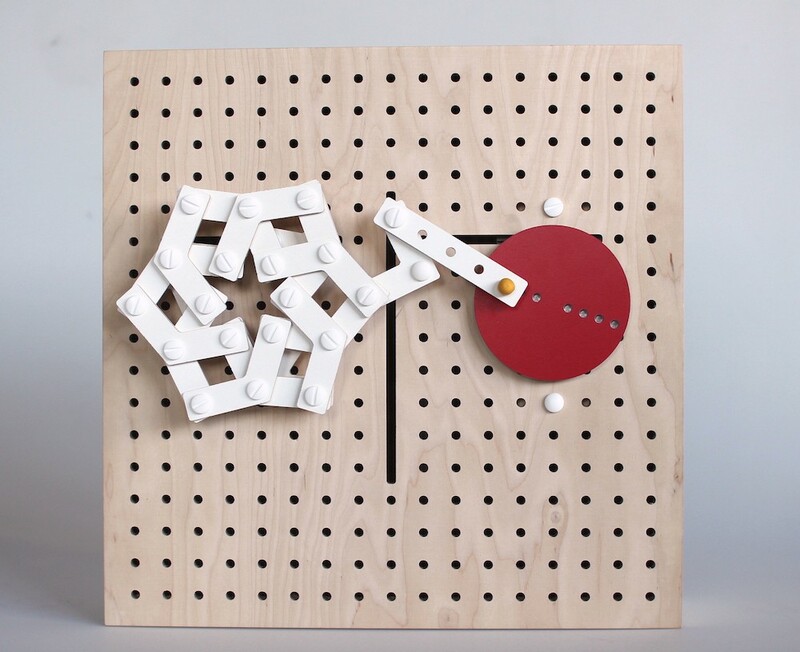 “Consisting of a modular box, bars and circles, and active modules, LINKKI simplifies the technical construction toy to such an extent as to look minimal but still retains the versatility of construction blocks as an educational tool and designer’s prototyping tool,” Park explains. Devised with expandability in mind, LINKKI allows for Makers to add various modules to any project. For example, a signal meter or visualizer can be built on top of the kit, and when coupled with a sensor (like a weather or push sensor), can trigger interesting behaviors. Aside from that, this lets users familiarize themselves with the concept of physical computing and the Internet of Things. Made from birch plywood, PLA and metal, there are 16 types of bars in four different shapes and two circles. Movement is driven by either a hand crank or one of three types of Arduino-based motor boxes: a full rotation version that spins with a constant speed when a user pushes a button, a limited rotation device that revolves to and fro between the angles set by a knob, and an interactive motor that moves according to the Wi-Fi signal sent from the sensor unit. Intrigued? See it in action below! You can also read all about Park’s backstory and inspiration for the project here. 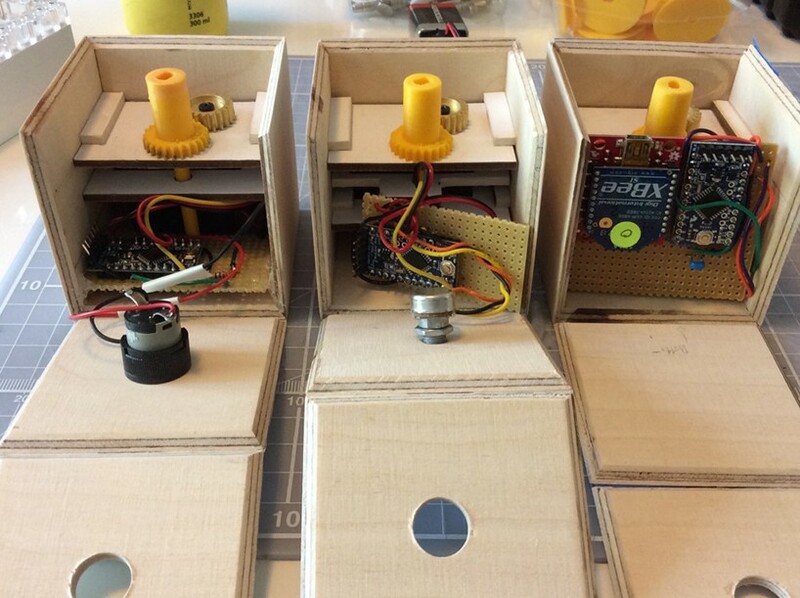 This entry was posted in Maker Movement and tagged Arduino, DIY Kit, Kinetic Construction Toy, Kinetic Movement, LINKKI, STEM on October 27, 2015 by The Atmel Team.